Jess S. Morgan & Company offers a full range of services for startups. The startup phase is an exciting time in the life of a business. It's a chance for the entrepreneur to make their vision a reality. The startup also has significant challenges. A small list of those challenges includes the following: managing growth, collecting receivables, renting space, and hiring employees. 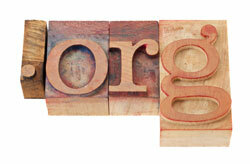 Jess S. Morgan and Company can advise you on many of the business issues that a young company faces. Our outsourcing function also allows for full financial reporting. We provide the following services on a monthly basis: balance sheet, income statement, statement of cash activity. We are able to provide reports to all appropriate parties, including, the principals, investors and other stakeholders. We will interface with the bank regarding your treasury and cash management issues including: cash flow, foreign exchange, and debt financing. Our professionals have the expertise to manage your payroll and human resource compliance needs. We can coordinate your payroll, payroll tax reporting, employee benefits, as well as advise on a wide range of human resource matters. 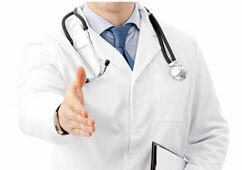 Jess S. Morgan & Company offers a full range of services for the professional athlete. We are your advocate in all your dealings with attorneys, agents, and sponsors in both your business and financial affairs. Jess S. Morgan & Company, Inc. offers a wide array of services for foundations, Non-Profit, Organizations, and philanthropic individuals. Jess S. Morgan & Company offers a full range of services for Multi-family offices. Jess S. Morgan & Company will be your advocate and counsel in all of your family’s dealings with attorneys, agents, brokers, staff, and other professional advisors. We offer the security that comes with knowing that you have an experienced team to help you manage any and all financial matters that you will face throughout your lifetime. 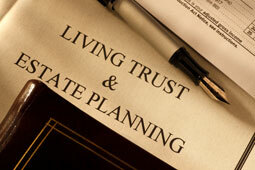 We at Jess Morgan & Company have a tenured history of acting as personal trustees for our clients and their estates. We take pride in our commitment to ensuring that our clients’ intentions are followed to the letter. We have both the experience and the ability to manage the operations of your private foundation. Jess S. Morgan & Company has a long history in working with our clients to operate these foundations. These functions include: supervising donations to different charities, scheduling and running board meetings, and advising on best gifting practices for your foundations.